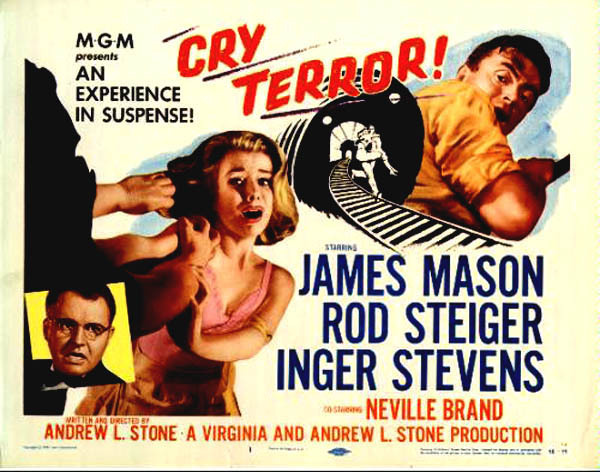 CRY TERROR (1958) (B&W) 96 min: Starring Inger Stevens, James Mason, Rod Steiger, Angie Dickinson. Tightly paced crime drama shot on location in New York has Steiger’s psychopath forcing Mason to aid him in an extortion plot. 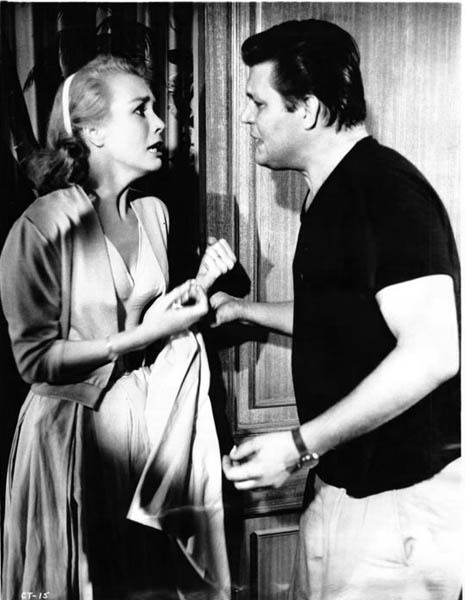 Stevens is the resourceful but terrified wife and Dickinson is the cold and calculating moll in this period piece noir classic.